Home » Blog » Welcome to NYC! I had been watching the scheduled arrival of the Space Shuttle Enterprise, with the hope that I would be able to get a few photos. I work a few blocks from Pier 40 on the Hudson river, so myself and a few co-workers took a quick morning break to capture this bittersweet flyby. To get the Shuttle “Money Shot” you needed to be on the Jersey side of the river, in a helicopter at a slightly higher altitude so you could get the skyline and the shuttle in the frame. This shot is my favorite. 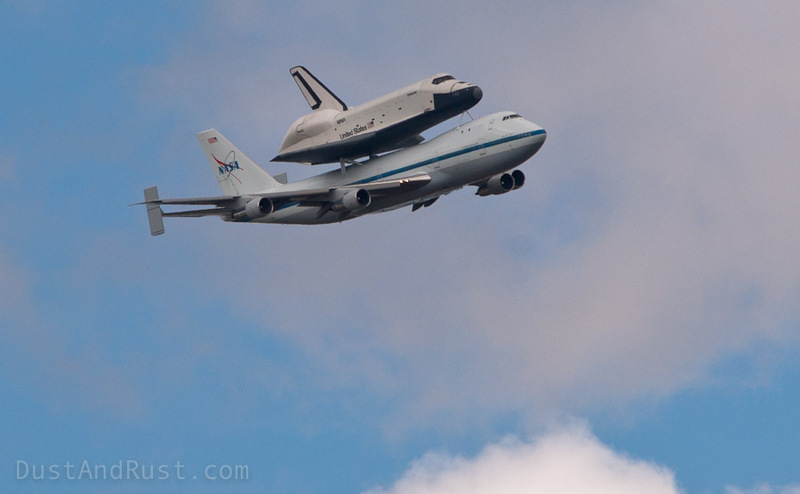 After stopping at JFK Airport, the Enterprise will find its final home at the Intrepid Museum. While there is some controversy about NY being one of the states to receive a retired shuttle, I have a feeling that it may become one of the most visited one.